Always creative and done on time. 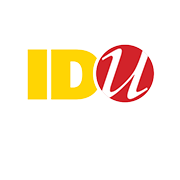 Steve Heveron-Smith Vice President, Sales & Marketing, Lumetrics Inc.
IDU provides exceptional design services for clients worldwide from our headquarters in Rochester, New York: graphic design, logo and web design, printing, and other creative services. We focus on business-to-business marketing, technical communications, and start-up brand development (mostly in the technology, pharmaceutical, defense, and other high-tech industries). We're here to help — and transform your ideas into business results. We're proud to be part of the Rochester, NY professional community — along with the Rochester Institute of Technology, High Tech Rochester, and many leading enterprises — where ingenuity is the norm. ©2019 IDU Incorporated. All rights reserved.